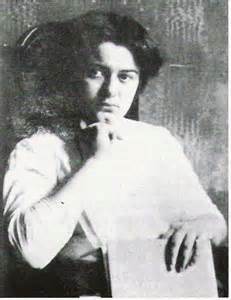 Born on the holiest day of the Jewish calendar, Yom Kippur (Day of Atonement), the youngest of eleven children of an observant Jewish family in Breslau, Germany, in 1891, "smart Edith" as she was called by friends and family renounced her faith as a young girl. Her search for truth led her to the study of philosophy, at which she excelled at the University of Gottingen and the University of Freiburg. 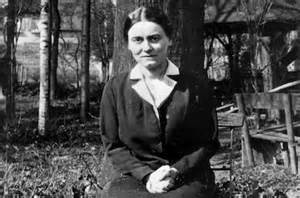 In 1916, she received her doctorate at the University of Freiburg with her dissertation On the Problem of Empathy. She became a member of the faculty and worked as assistant to the phenomenologist Edmund Husserl, a Protestant Christian. 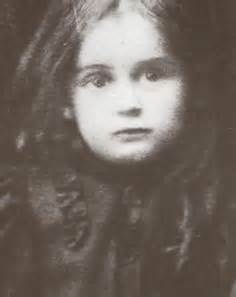 After reading the Life of Saint Teresa of Avila, Edith was baptized a Catholic on January 1st, 1922. She taught at a Dominican Catholic school in Speyer until 1931, and then served as a lecturer at the Catholic affiliated Institute for Scientific Pedagogy in Munster until forced to resign in 1933 by Nazi persecution. 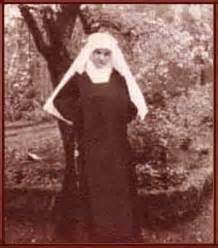 In October of 1934, she entered the Carmelite monastery in Cologne, taking the name Teresa Benedicta of the Cross (Blessed of the Cross). In obedience to superiors, Sr. Teresa Benedicta continued her contribution to the field of philosophy with the work Finite and Eternal Being, an exploration of the possibilities of a Catholic phenomenology by combining the teaching of St. Thomas Aquinas and Husserl. As Nazi persecution increased, Sr. Teresa Benedicta and her sister Rosa, who had become a Catholic and was serving the monastery as an extern sister, took shelter in the Carmelite monastery of Echt, Holland where she wrote The Science of the Cross, a study of St. John of the Cross. 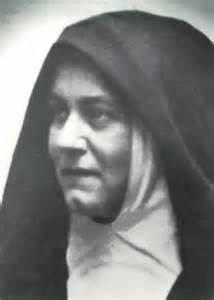 In June of 1939, Sr. Teresa Benedicta requested permission of her prioress to offer her life for her people, for the Church, for the salvation of Germany and for peace in the world. "I beg the Lord to take my life and my death .... for all concerns of the sacred hearts of Jesus and Mary and the holy Church, especially for the preservation of our holy Order, in particular the Carmelite monasteries of Cologne and Echt, as atonement for the unbelief of the Jewish people, and that the Lord will be received by His own people, and His kingdom shall come in glory, for the salvation of Germany and the peace of the world; at last for my own loved ones, living or dead, for all that God gave to me: that none of them shall go astray."